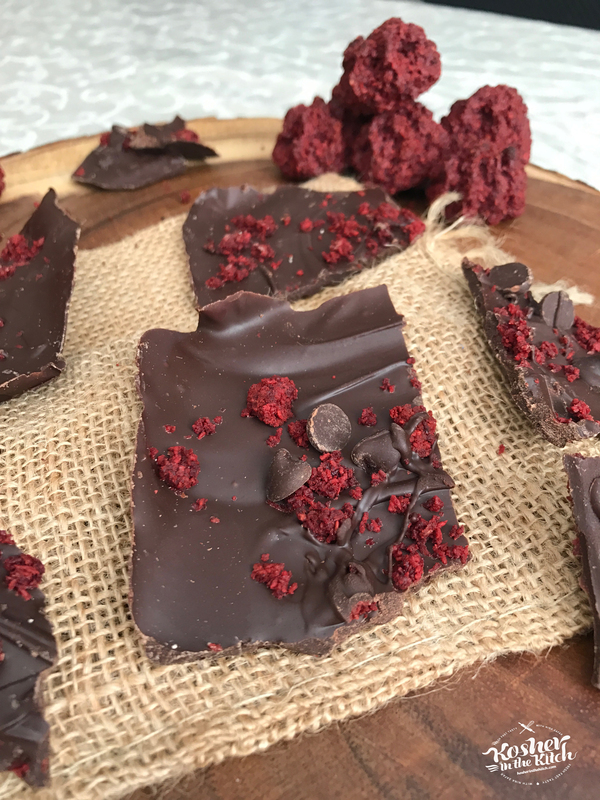 Red Velvet Macaroon Bark - Kosher In The Kitch! 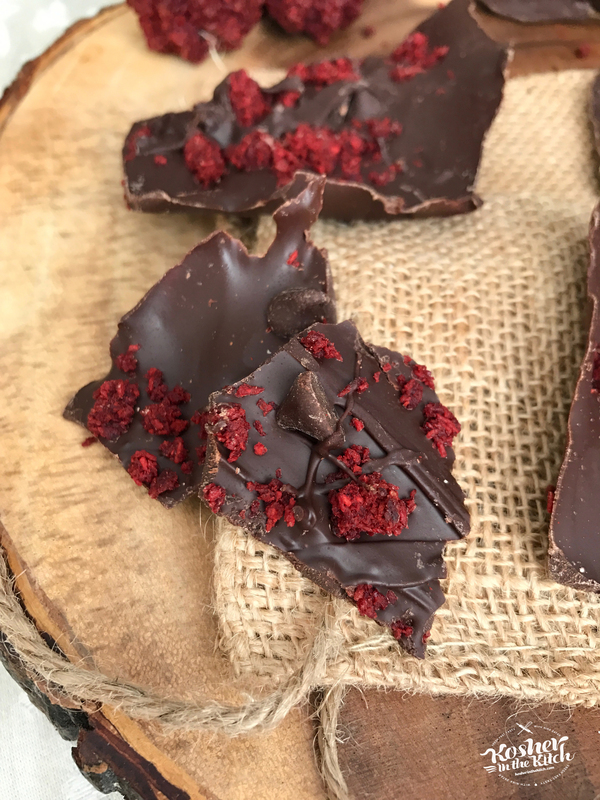 Red Velvet Macaroon Bark - Kosher In The Kitch! Melt chocolate chips in microwave on 30 second intervals. Spread melted chocolate over parchment paper lined baking sheet. Top with crumbled red velvet macaroons. Optional: scatter chocolate chips on top and drizzle additional melted chocolate on top.